“When you see the divine, you ask what you think is best for you; when the divine sees you, the whole Cosmos gives you what it knows best for you.” – H.H Paramahamsa Nithyananda. Nayana Deeksha means, “initiation by sight”. In Sanskrit, ‘Nayana’ means eyes or vision, and ‘Deeksha’ means initiation, the transmission of energy of truth from an Enlightened Master. 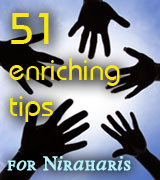 When the Divine sees you, all the blessings are showered upon you. When a Divine Incarnation lands on Planet Earth with a mission to bring enlightenment to humanity, He uses all possible means to connect to the whole world, in the way the world will understand. 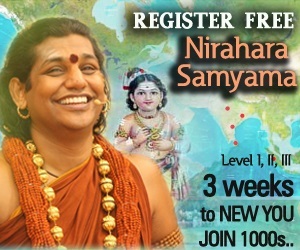 In this cyber age, Paramahamsa Nithyananda makes use of the latest technology of Internet videoconferencing to connect in real time with thousands of people around the globe to share the sacred secrets and experience of enlightenment. Whether in the form of daily discourses (satsangs), special webinars, or full 2-day meditation programs, rare living incarnation Paramahamsa Nithyananda has made Himself available to humanity more than ever, using the best possible technology. 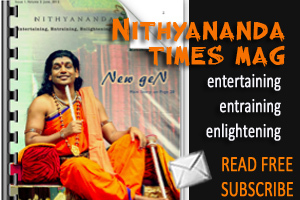 You are just a click away from experiencing Nithyananda, no matter where you are in the world! 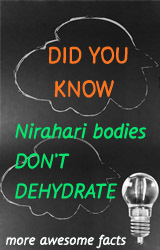 Daily a global LIVE audience from all every corner of the planet sits authentically listening to their Master from 7.00 am IST. This means for many people, having to wake up at the wee hours of 2.00 am for France, to late night for most part of America, and (….). 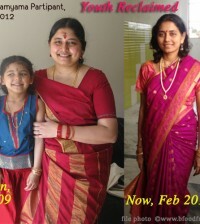 For us, this is the very life to attend the satsang. What makes these working, busy people with all possible responsibilties any sane person has, to be so deeply committed to be present regularly ? To Meet the Avatar – it is to be under the direct vision of the compassionate eyes of the Master. Thousands globally from 200+ cities with over 45 2-way video connections tune in daily to meet the Avatar. Here are the sharings from some of them.